What a neat place to visit!!! but it is hard to get to via Jeep. I can see why it is recommended to have at least two vehicles for this trip- very remote and no cell phone coverage. I was the first person to arrive here after the two remnant hurricane storms hit the area. So, all the old tire tracks were gone. Using my topo maps and GPS, I found this place relatively easy. First day, I wanted to make my own tracks so I can follow them the next day which was my plan. I stayed for sunset shots on the second day and had to drive in the dark. I had trouble seeing my tires tracks in the headlights so much for my plan. I would come back again to explore other sections. 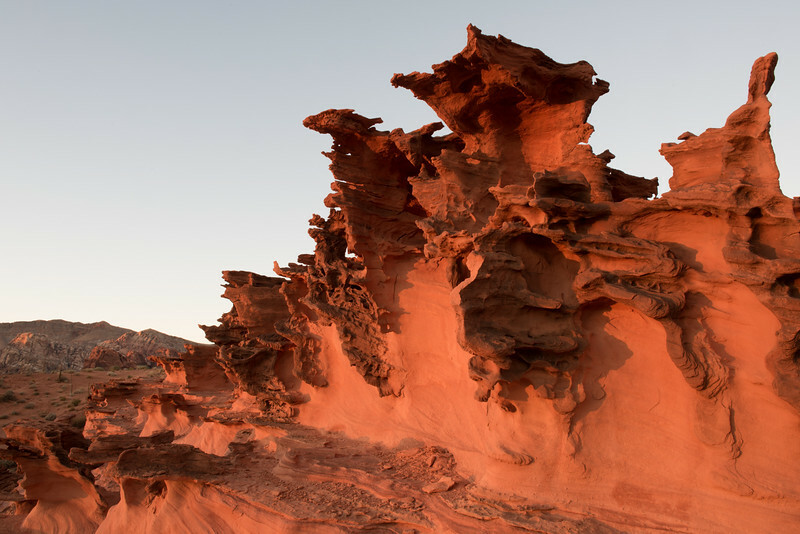 I have never seen this type of rock formations in my life- fascinating.